A contingent of protesters from Sligo made the journey to Leinster House this week to protest the closures of post offices in County Sligo. Protesters made the journey to the capital in the wake of a motion put forward by Sinn Fein to give greater support to post offices in rural communities. 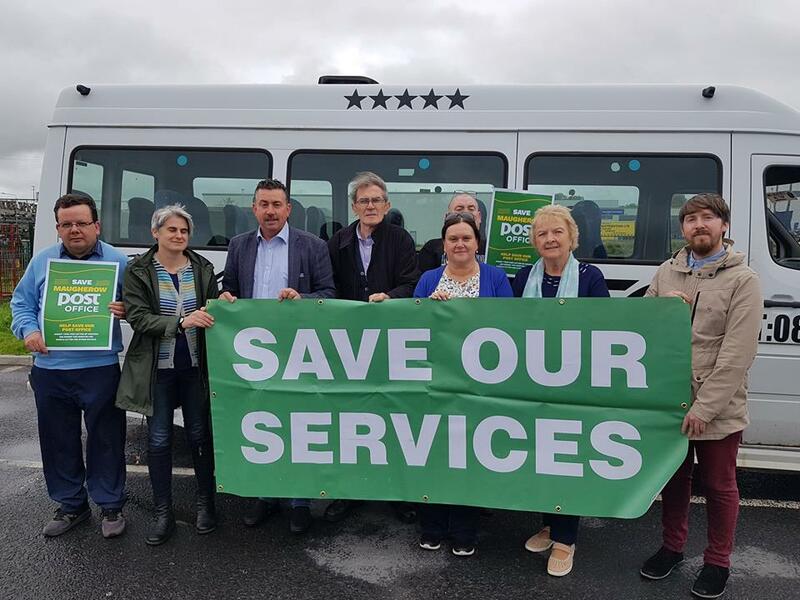 Political activist with People Before Profit, Nigel Gallagher spoke to the Sligo Weekender about the protest and the need to protect rural services. “It was good to get a strong representation from Sligo considering the Sligo post offices that are under threat. At the protest today, the message has been that the government are undermining public services and it is not just in rural Ireland it is also evident in urban Ireland too. It has been a mantra of successive governments to undermine these services,” Mr Gallagher said. Mr Gallagher was critical of both the government and An Post for what he believes to be a choreographed attack on postal services. “I think it has been strategic from both the government and An Post in the way they have sporadically closed post offices down when the Dail was on holidays. They did not want to see a big movement to form but we are firmly organised in our community in Maugherow. There are over 700 submissions in opposition to closures there and around county Sligo you would see a similar situation,” he said. In Sligo, it was announced in late August that a total of six post offices were to be closed. These were Ballinafad, Ballinfull, Dromard, Drumcliffe, Gurteen and Monasteraden. For more on this story, see this week’s Sligo Weekender newspaper – in shops now.